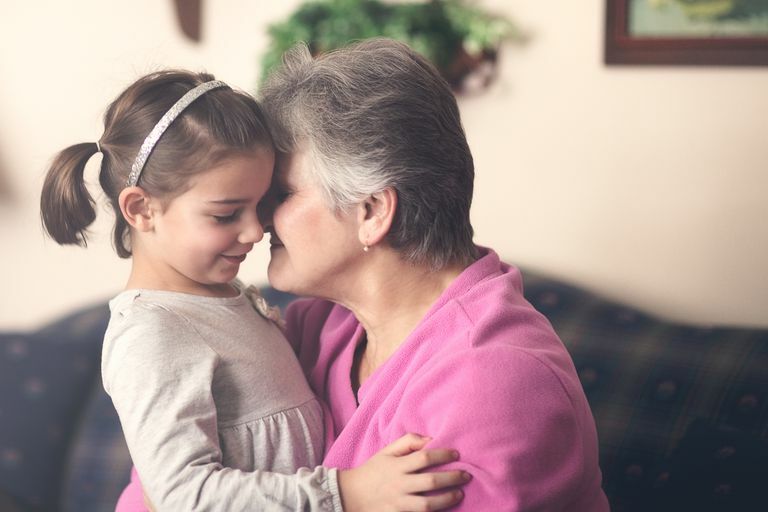 “Give Grandma and Grandpa a hug good-bye!” That’s a statement that’s uttered on a regular basis in many family homes. But there’s a good reason you might not want to tell your child to hug or kiss anyone – including relatives. When you give your child directions, like, “Pick up the toys,” you’re implying there will be a negative consequence if he doesn't comply. You're essentially telling your child that regardless of how he feels, it's important to do what you say. When a child feels forced to show affection, she gets the message that she's not in control of her own body. And that's a dangerous message for kids to receive. Kids who think they need to comply with adult requests for affection are more likely to be sexually abused. If a child is told by a predator to do something she's not comfortable doing, she may feel obligated to comply. But, a child who has been taught, "It's your body and you get to say no to things you don't want to do," is more likely to be able to say no if someone asks her to do something she's not comfortable doing. When you teach a child she has a right to choose whether she wants someone to tickle her, or whether she wants to sit on someone’s lap, it shows her that she can make those decisions based on her own comfort level. Create a household rule that says no one has to engage in physical contact with anyone – including relatives – if they don’t want to. Make it clear to your child that she doesn’t have to show physical affection to please someone. Just because someone tries to guilt a child into giving a hug goodbye, doesn’t mean she has to do it. So if Grandma says, "I gave you a present today now come give me a kiss goodbye to show me how much you liked it!" or an uncle says, "I won't let you have a cookie unless you give me a hug first," step in and remind your child that she doesn't have to do it. Teach your child, "You're in charge of your body and who touches it." That’s a message that’s important for kids to carry with them throughout their lives. Your child will be better equipped to resist sexual advances later in life when she refuses to allow others to guilt her into physical contact. There’s no need to show affection simply because someone insists, “It’ll hurt my feelings if you don’t," or "It's good manners to kiss adults who ask for a kiss." Many parents worry that not giving someone a hug will be perceived as rude. Consequently, they say things like, “But Aunt Trudy only visits once a year. The least you could do is give her a hug goodbye!” But in reality, the less often children see someone, the healthier it is for them to be less free with their physical affection. Try saying something like, “Would you like to give Uncle Billy a hug before he leaves?” If your child declines, don’t force it. You could ask something else like, “Would you like to give him a high five instead?” But make it clear that it’s okay to decline. If a relative says, “Give me a hug!” and your child clearly isn’t interested, intervene by saying, “Would you like to give a hug or do you prefer to just wave goodbye?” You may need to educate your friends, family members, and other visitors that you don’t force your child to be physically affectionate. Teach your child that shaking hands is an option when meeting new people. Talk about how it may be appropriate to shake hands when meeting a new piano teacher or when greeting a new scout leader. Explain that high fives are an appropriate way to interact with coaches or teachers too. But make it clear that she’ll never be punished for choosing not to engage in physical contact with others. Lemaigre C, Taylor EP, Gittoes C. Barriers and facilitators to disclosing sexual abuse in childhood and adolescence: A systematic review. Child Abuse & Neglect. 2017;70:39-52. Mckibbin G, Humphreys C, Hamilton B. “Talking about child sexual abuse would have helped me”: Young people who sexually abused reflect on preventing harmful sexual behavior. Child Abuse & Neglect.